First Floor 940 sq. 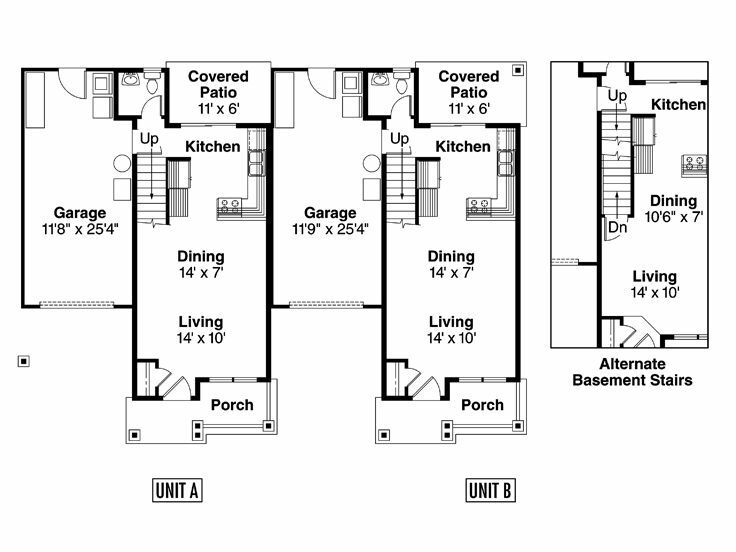 ft.
Second Floor 912 sq. ft.
Approx. Height 23 ft. 9 in. 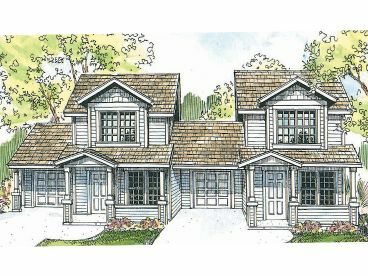 Simple in design this duplex house plan is ideal for college students and young couples. Two identical units enter from a covered front porch to find a convenient coat closet at the entry. 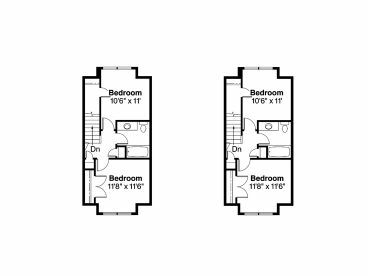 The living and dining areas are open to one another and flow nicely into the compact kitchen with a view to the rear patio. 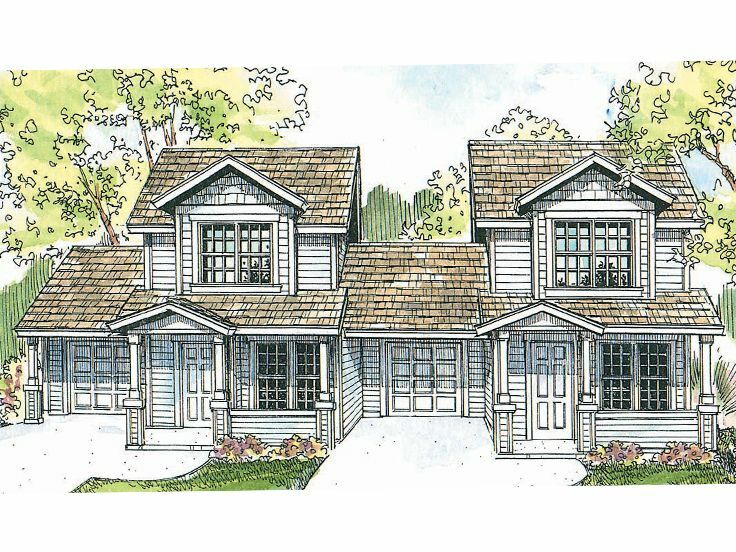 A half bath and single-car garage with laundry facilities complete the first floor. 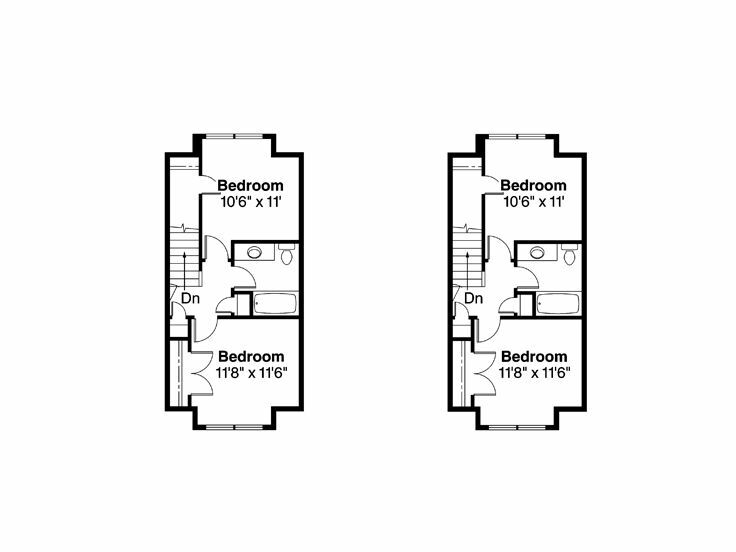 Upstairs, two bedrooms share a full bath. 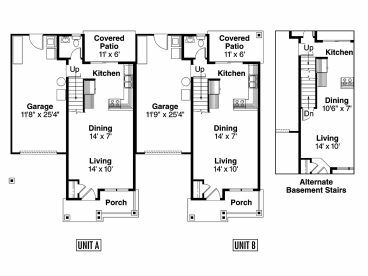 Though modest in size, this multi-family home plan is offers comfortable accommodations for two families.